The Class of 2015 claps with excitement as they celebrate the culmination of their college experience. The Class of 2016 eagerly is awaiting their time to shine next week. Graduating seniors, faculty and staff are diligently preparing for this year’s commencement ceremony. Almost 300 graduates are expected to walk across the stage May 6 at the James and Sis Brown Athletic Center to receive their undergraduate or graduate degrees. Commencement 2016 will be held May 6 at 2 p.m. at the James and Sis Brown Athletic Center. New this year, the commencement ceremony will take place on Friday. In years past, the ceremony was held on Saturdays. This year’s ceremony is set for Friday, May 6, at 2 p.m. Line-up for the Commencement Processional will begin in the lower gym of the Brown P.E. Building promptly at 12:30 p.m. Graduates will sit alphabetically with their respective schools – McCamish School of Business, Price School of Education, School of Arts & Humanities, School of Performing Arts, School of Mathematics and Sciences, and School of Professional Studies. Guests must have tickets to attend and should arrive no later than 1 p.m. to allow time for seating. 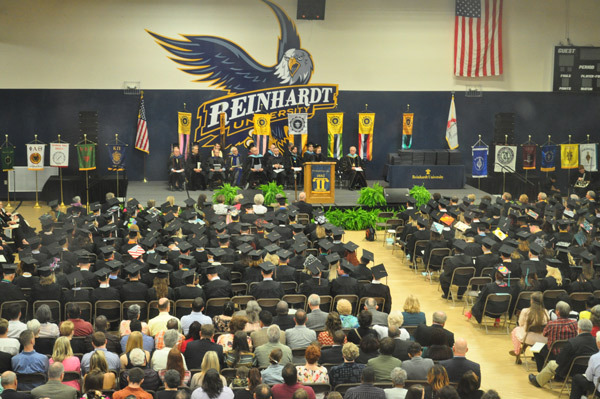 For those who are not able to attended, the commencement ceremony will be live-streamed at www.reinhardt.edu/streaming. For parking, the University’s Office of Public Safety and the Cherokee Sheriff’s Office will assist with parking and traffic flow. Graduating students need to park at the Funk Heritage Center and East Hall. Guests may park in any available parking space on campus except for designated handicap spaces, fire lanes and the gym parking lot. Space is limited; carpooling is encouraged. Mandatory rehearsal for commencement will be held Thursday, May 5, at 3 p.m., at the James and Sis Brown Athletic Center. Everyone must arrived at 2:30 p.m. for mandatory check-in. After the rehearsal, the “Last Hurrah” graduating class reception will be held at the Bannister Glasshouse. 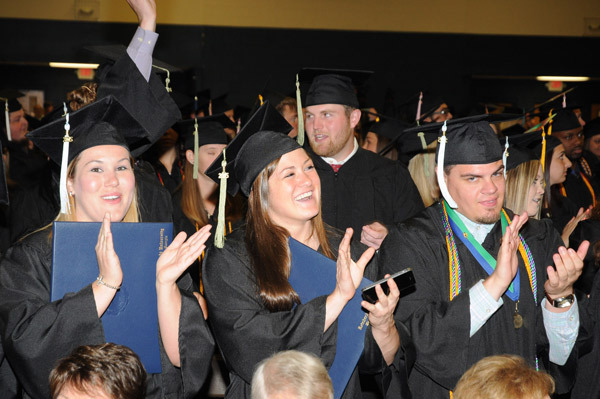 Click here for more information about this year’s commencement.